Picture a shipboard radar or an electronic chart display that includes a symbol for every significant ship within radio range, each as desired with a velocity vector (indicating speed and heading). Each ship "symbol" can reflect the actual size of the ship, with position to GPS or differential GPS accuracy. By "clicking" on a ship symbol, you can learn the ship name, course and speed, classification, call sign, registration number, MMSI, and other information. 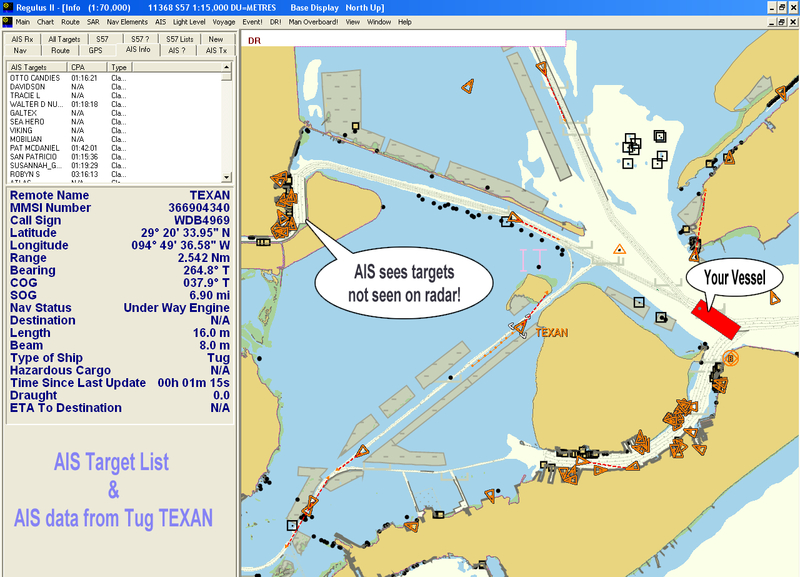 Manoeuvring information, closest point of approach (CPA), time to closest point of approach (TCPA) and other navigation information, more accurate and more timely than information available from an automatic radar plotting aid, can also be available. Display information previously available only to modern Vessel Traffic Service operations centres can now be available to every AIS user as seen below. With this information, you can call any ship over VHF radiotelephone by name, rather than by "ship off my port bow" or some other imprecise means. 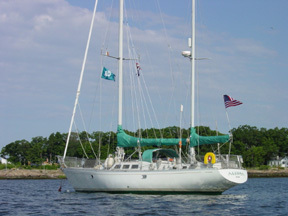 Or you can dial it up directly using GMDSS equipment. Or you can send to the ship, or receive from it, short safety-related email messages. 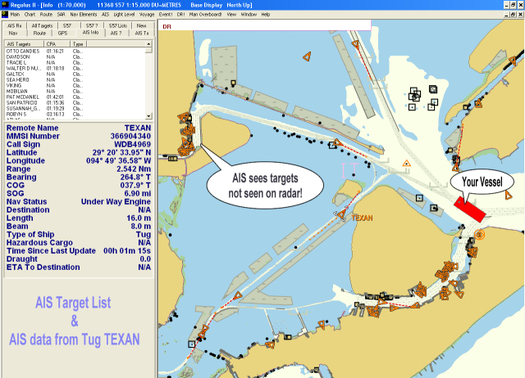 The AIS is a shipboard broadcast system that acts like a transponder, operating in the VHF maritime band that is capable of handling well over 4,500 reports per minute and updates as often as every two seconds. It uses Self-Organizing Time Division Multiple Access (SOTDMA) technology to meet this high broadcast rate and ensure reliable ship-to-ship operation.